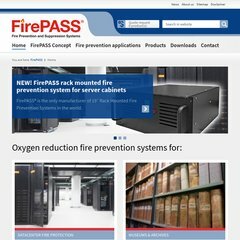 Topics: Firepass, Firepass Science, Fire Protection Applications, Tall Buildings, Tunnels, and Aerospace. The New York Internet Company (New York, York) is the location of the Apache server. It has 2 DNS records, auth1.ns.nyi.net, and auth2.ns.nyi.net. The site is programmed for PHP/4.4.9.